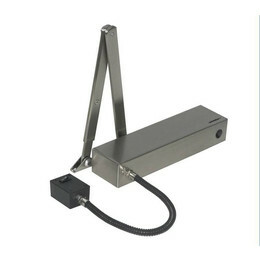 The Series 600 Electro Magnetic Door Closer is a truly multi-use electronic door closer that's ideal for use in workplaces and public buildings such as hospitals, schools, libraries, museums, theatres, pubs, clubs and hotels. 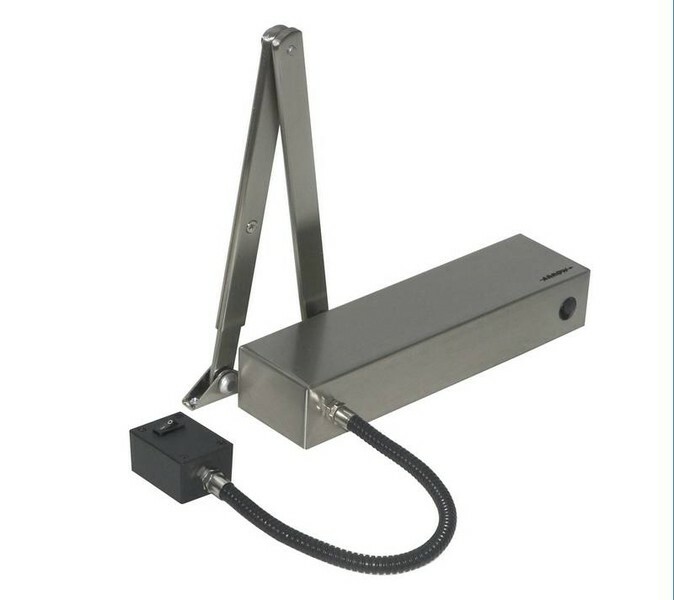 Door closers act as a barrier between fire and the rest of your building so choosing one that is flexible and can fully meet your needs is essential. Independently assessed for 2 hours fire cover by International Fire Consultants Ltd, the Series 600 is suitable for both left and right-hand opening doors and has a 180 degree opening arc. It also has adjustable arms that can be set to regular, parallel or transom mounting. Swing Free - The door can open and close as if no door closer is fitted. Hold Open - When the door is opened beyond 75 degrees this function will hold the door in position. In both situations the door will automatically close if power is interrupted or an alarm is activated. The door speed is also adjustable via a valve in the front of the closer body and the latching speed can even be adjusted to accelerate during the final closing moments to overcome the resistance of a door latch. Conversly if no door latch is fixed the latching speed can also be slowed. Housed within the aluminium outer casing is a hardened steel rack and pinion mechanism immersed in high-quality thermostatic hydraulic oil - a combination that means years of maintenance-free operation.